A couple of weeks ago I wrote about appreciating the small stuff. Writing that article opened my eyes to how much I’d gotten away from aspects of photography that give me great pleasure, and that were a big part of my photographic style. Not completely away, but far enough to notice a difference when reviewing my images from the last year or so, a year that coincides with my switch from Canon DSLR to Sony mirrorless. While I can’t attribute this shift to a shortcoming in my Sony gear (far from it), I do believe the timing is more than coincidence. First, with its radically different interface and shooting workflow, mirrorless is a new trick and I’m an old dog, and I think I underestimated the ramifications of the mirrorless switch. Nevertheless, within a few weeks I felt reasonably comfortable seeing through an electronic viewfinder, had embraced a new focus and metering paradigm, and became sufficiently familiar with my Sony a7R’s features, buttons, dials, and menus. So far, so good. But simply knowing a camera doesn’t mean I don’t have to think about using it. And it’s the unconscious control of photography’s technical side—the focusing, metering, setting exposure variables, and so on—that frees my brain to create. (I suspect it’s this way for most other photographers too.) So until I can make my camera an unconscious extension that functions more like an extra limb, the interface is a distraction. After ten years, I’d taken for granted my ability to control every aspect of my Canon DSLRs by feel, in the dark if necessary, without conscious thought—simply put, it’s taken nearly a year to achieve that familiarity with my Sonys. In that gap between familiar and intimate with my Sony bodies, bad (lazy) habits formed. Because while I was getting used to a new way of shooting, I became so enamored of my a7R’s extreme dynamic range that my photography began to skew in that direction. Suddenly sunrises and sunsets that had been especially difficult (or impossible) with my Canons, were easy, a luxury I was all too happy to indulge. Then came the a7S, with its mystical ability to see in the dark, and suddenly night photography was occupying much more of my photography time. Compounding the problem, these high dynamic range scenes tend to be more dramatic, and drama impresses the masses more than subtle. I’d post a new image to rave reviews (“Stunning!”), and soon found myself lured by the instant validation. I loved what I was shooting, others loved what I was shooting, so what could possibly be wrong? Or maybe a better way to put it, what’s missing? I’d scroll through my recent images and couldn’t avoid the vague sense that there were fewer images that excited me personally. There were some, but not as many as I’d been accustomed to. And then it hit me—my images lacked depth. 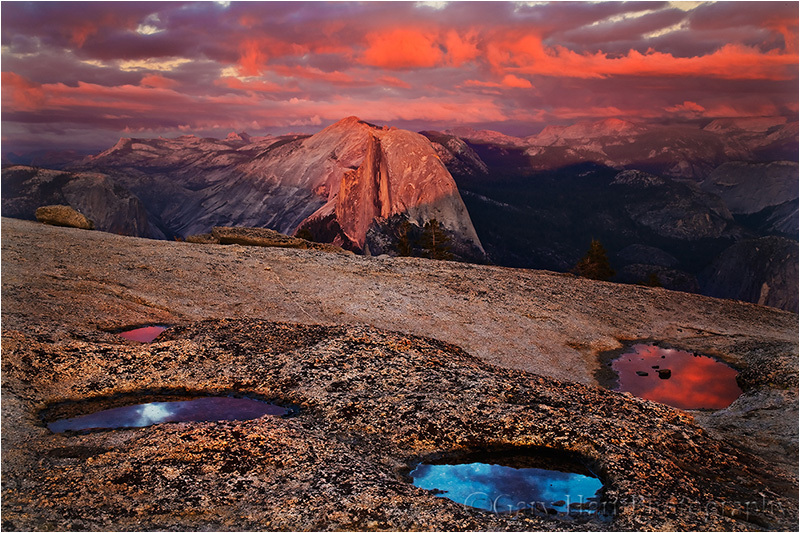 Depth is the final frontier for aspiring photographers. Photography attempts to render a three-dimensional world in a two-dimensional medium, and intuitive disconnect. But while true depth in a photograph is impossible, what is possible is the illusion of depth. I’ve always felt that most people can compose a nice two-dimensional landscape, but what separates the great photographers from the good is their ability to convey depth. Conveying the illusion of depth starts with not settling for a dramatic background or striking foreground subject, but using that as the starting point for a scene that contains visual points throughout the (missing) front-to-back plane. 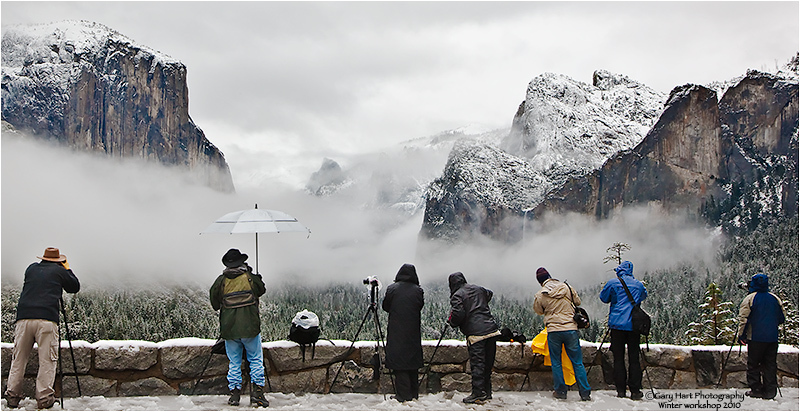 If the primary scene is in the distance, find nearer objects that balance and complement it. Likewise, if your subject is in the foreground, make every effort to include complementary background elements. But finding a complementary foreground and background is just the beginning. Once you’ve identified your foreground and background (and mid-ground if possible) elements, you have to manage their relationships while mentally subtracting the camera’s missing third dimension (depth). Things like creating imaginary lines that connect objects at different distances; avoiding merging of discrete objects; perspective management with focal length and subject distance choices; focus (depth of field) control to emphasize/deemphasize foreground/background elements (to name a few). All of these things take a scene from more literal, two-dimentional snaps to interpretive, artistic creations that exist only in your brain until the shutter is clicked. And that’s what I think has suffered in the year since my Sony switch—I’m still getting captures that excite me (and others), but in settling for the scenes the Sony sensor makes so easy, I lost my way a bit. Now that I recognize what’s been lacking, it’s time to up my game and apply that amazing Sony sensor to our three dimensional world. 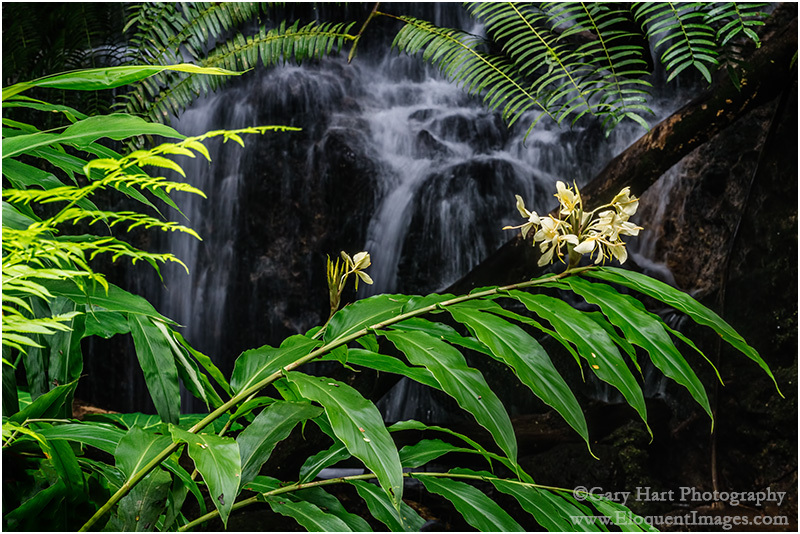 I traveled to Hawaii earlier this month vowing to reinvigorate my quest for depth in my images. With lush rainforests, rugged volcanic beaches, vivid sunsets, and an active volcano, it’s a great spot for filling the frame from front to back. One place in particular I looked forward to visiting was Akaka Falls State Park. The little scene in this image is extremely familiar to me—it’s near the end of Akaka Falls loop, after the view of the fall, making it easy to think the show is over as you beeline back to the parking lot to escape the humidity. Each time I pass this spot I stop and try to make it work, which starts with finding a way to pull detail from the dense shade without blowing out the fully exposed foreground foliage. And even if I can make the dynamic range work, I still have to figure out how to balance the conflicting need for a small aperture that ensures adequate depth of field, against the need for a shutter speed long enough to pull the waterfall from the extremely dense shade, but fast enough to avoid blurring the leaves in the almost unavoidable breeze. But several things worked in my favor on this visit. A heavy cloud cover reduced the foreground brightness to a more manageable level, and my new Sony a7R II has at least two stops more dynamic range than the Canon 5D III I’d used on prior visits—suddenly, dynamic range wasn’t a deal-breaker. Also, someone had flipped the switch on Hawaii’s usually reliable trade winds—the still, humid air was extremely uncomfortable, but far better for this kind of close photography. Last but not least, the high ISO capability of my a7R II made me quite comfortable shooting at ISO 1600, high enough to permit f16 while maintaining a fast enough shutter speed. My focal length was 154mm, so even at f16 I needed to be careful about focus. In scenes where I’m not sure whether I’ll have enough depth of field to ensure front-to-back sharpness, I almost always find a point that keeps my closer elements sharp. To maximize depth of field, I’ll focus as far behind the closest visual anchor (in this case the closest flowers) as I can without sacrificing any foreground sharpness. In this case I was pretty sure I could focus on the back flower and still keep the closer flowers sharp. In a perfect world I’d have liked just a little more motion blur in the water, but even with the air relatively still, I wasn’t comfortable going beyond 1/10 second. Photographing lightning is about 5 percent pandemonium, and 95 percent arms folded, toe-tapping, just plain standing around. A typical lightning shoot starts with a lot of waiting for the storm to develop and trying to anticipate the best (and safest) vantage point. But with the first bolt often comes the insight that you anticipated wrong and: 1) The lightning is way over there; or 2) The lightning is right here (!). What generally ensues is a Keystone Cops frenzy of camera bag flinging, tire screeching, gear tossing, tripod expanding, camera cursing, Lightning Trigger fumbling bedlam. Then it’s more waiting. And waiting. And waiting…. In many ways the waiting part is a lot like fishing—except these fish have the ability to strike you dead without warning. And a strike is no guarantee that you’ve landed something—that assurance won’t come until you review your images. Unfortunately, when a Lightning Trigger is attached, LCD reviews are disabled. But to avoid missing the next one, I’ve learned to resist the temptation to turn off my Lightning Trigger and check after every bolt (like pulling the line from the water every few minutes to see if the worm’s still there). With clear skies in the forecast, Don Smith and I started last Sunday with plans to recover from the preceding day’s 12 hour drive to the Grand Canyon, and to recharge for our Grand Canyon Monsoon workshop that started Monday. But walking outside after lunch, dark clouds building overhead sent us racing up to the rim (a 15 minute drive) to see what was going on (see Keystone Cops frenzy reference above). Starting at Grand View, we quickly set up our tripods, cameras, and Lightning Triggers and aimed toward promising clouds up the canyon. But within 10 minutes the clouds overhead darkened; when they started pelting us with hail, we retreated to the car. Since the storm appeared to be moving east-to-west, we drove east to get on the back side of it, eventually ending up at Lipan Point (one of our favorite spots). We set up west of the Lipan vista, enjoying relative peace and quiet away from the summer swarm. The cell that had chased us from Grand View was diminishing, so much so that we needed sunscreen when we started, but we could see an even more impressive cell was moving up from the south. Meanwhile, the clouds in the canyon were spectacular, but all the lightning was firing above the flat, scrub pine plain to the south. Our hope was that it would reach the canyon in our viewfinders before reaching us. Of course I wanted lightning firing into the canyon, but at first I hedged my bets and composed wide enough to include the less aesthetically pleasing evergreen forest. As the rain moved across the canyon to our west, our blue sky had started to give way to darkening clouds, and distant thunder rolled through the afternoon stillness. This was my first lighting shoot (and just my second overall) with my brand new Sony a7R II, so I was quite anxious to test its lightning capture capability. Speed is of the essence with lightning, and the faster the shutter responds to a click command, the better the chances of capturing it. My Canon 5D III had done the job in the past, but I knew I missed a number of strikes due to its only mediocre shutter lag. That afternoon we enjoyed about a half hour of quality shooting before the storm moved too close for comfort. In that span I saw at least a half dozen canyon strikes; the new camera captured most (all?) of them. The one you see here was from early in the show—subsequent strikes were further north (right) before petering out. Read more about lightning photography, and see a gallery of lightning captures, on my Lightning Photography photo tips page. Just a quick note to share my excitement about my new Sony a7R II. I’ve only used it once, and didn’t really ask a lot of it, but what I’ve seen so far I like a lot. My Sony a7R II arrived Wednesday, but my schedule limited my use to staying home and familiarizing myself with menus and overall handling. If you’re familiar with Sony’s e-mount mirrorless bodies, you’ll be able to hit the ground running with the a7R II. The menu system is the same, though of course there are few new features. The buttons and controls have moved a bit from their placement on the original a7 bodies (a7, a7R, a7S), but it’s essentially the same body as the a7 II (released late last year). Blindfolded, it would be difficult to distinguish the a7R II from the a7 II, and in fact, my Really Right Stuff L-plate (which I ordered several weeks ago), is the a7 II L-plate. I didn’t order the battery grip, but I know the a7 II battery grip fits the a7R II as well. On the other hand, the a7R II has more heft than the a7R—the body, while still far more compact than my Canon bodies, is definitely larger and heavier than the original a7R body. The grip noticeably larger too. The result is a camera that feels more solid without sacrificing its mirrorless compactness—a definite upgrade. I find mirrorless so perfectly suited to manual focus (for stationary landscape subjects), and the a7R autofocus so sluggish, that I just stopped using autofocus. I think that will change with the a7R II, as just a few test frames made it clear that the autofocus is vastly improved, both in speed and accuracy—not just for my Sony glass, but for my Canon lenses paired with a Metabones IV adapter (just make sure you’re using the latest Metabones firmware). Manual will remain my primary focus paradigm, but it’s nice to know that autofocus is now a viable option. One prime consideration for me is shutter-lag (the time it takes the shutter to engage once the button it pressed). Measure in milliseconds, it’s not a big factor for virtually all uses, but when photographing lightning, every millisecond matters. My Canon 5D Mark III’s shutter lag was decent but not great; the a7R is too slow to even consider for lightning; the a6000 is quite fast; and the a7S is (dare I say) lightning fast. So on the eve of my annual Grand Canyon monsoon trip (for the workshop Don Smith and I do each year), I was quite anxious to know how the a7R II would perform in the shutter lag department. I don’t have the means to measure the actual shutter lag of a camera, but since I have the shutter lag numbers for the a7S, and have had great success photographing lightning with it already, I just wanted to know know how the a7R II compares the a7S. And I was able to devise a way to test their relative speed. Without going into too much detail, my test involved both cameras set up on a tripod with a Lightning Trigger (the only lightning sensor I’d even consider using—I own two) attached. With both cameras focused on a timer that recorded milliseconds, I simultaneously triggered each using its Lightning Trigger, then compared the times captured in the images of each camera. They were identical. Just to be sure I ran a second test and again they were identical. 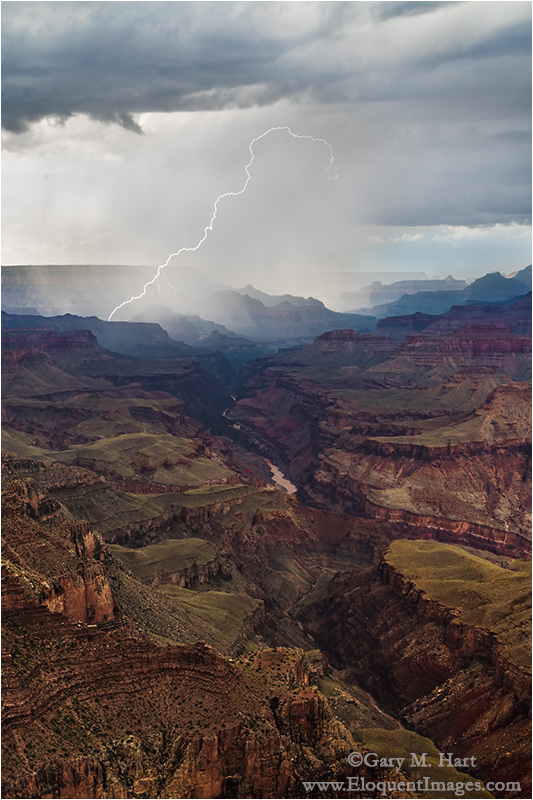 As I write this I’m one day into my Grand Canyon trip and can tell you that I now have empirical data confirming that the a7R II is a great lightning camera, maybe even the best lightning camera. But that’s a story for another day…. Thursday night I took my new camera out to one of my favorite sunset spots in the foothills. Sporting her brand new L-plate and 128 GB media card, she was clearly primed for action. This being our first date, I didn’t want to push her too hard, but I could tell she was definitely ready for whatever I asked. As luck would have it, this turned out to be more than a dry run shoot to test a new camera. The sunset that night was off the charts, so much so that I ended up breaking out a second camera (she didn’t seem to mind that either). I haven’t had a lot of time to play with the images from that night, but am sharing this one here from the very end of the shoot. Despite its appearance, and the rash of fires burning throughout California, no trees were injured in the making of this image. 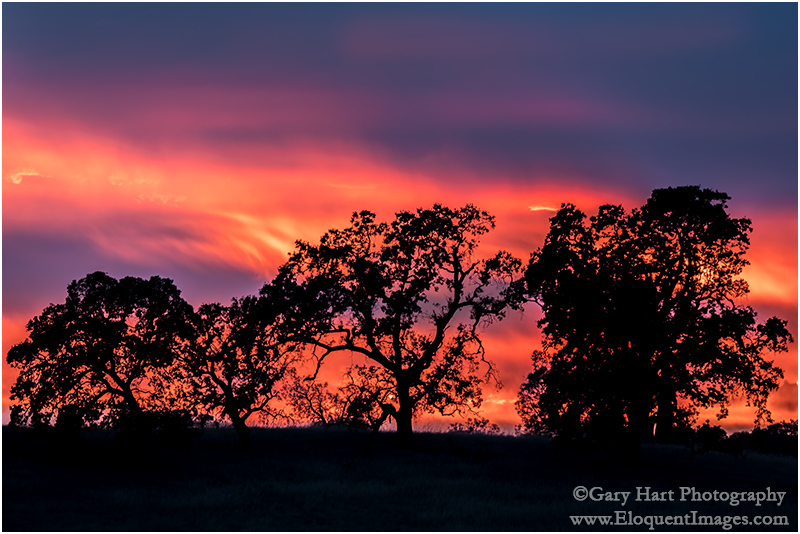 This is just silhouette of a trio of oaks against the sunset, underexposed to enhance the trees’ shape and hold the color in the sky. My first impressions of the a7R II? I think it’s a relationship that’s going to last (at least until the next version comes out). In addition to the improved focus and increased resolution, in the very brief time we’ve been together, it’s clear that the dynamic range is even better than the phenomenal dynamic range I get from my a7R. All this, and a great body.